Salmon Soboro is the food almost all Japanese households keep stocked in their fridge. I certainly always had a jar of store bought Salmon Soboro while we lived in Japan. Although I can purchase Salmon Soboro jars from Japanese grocery stores, I make my own from Shiojyake or Shiosake. 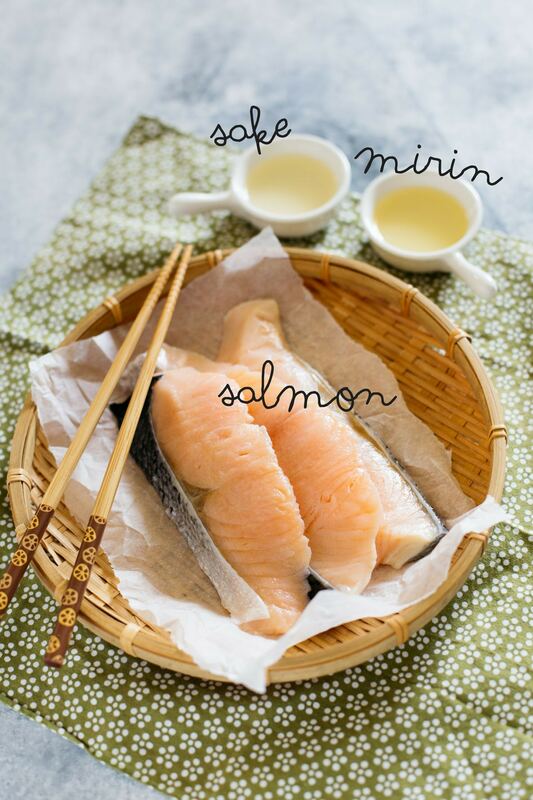 Salmon Soboro can be made easily with only three ingredients. Salmon Soboro is such a simple dish that Japanese people love and enjoy in many different ways. It is my family’s favourite filling or topping for Onigiri Rice balls and used as “Furikake” rice seasoning too. 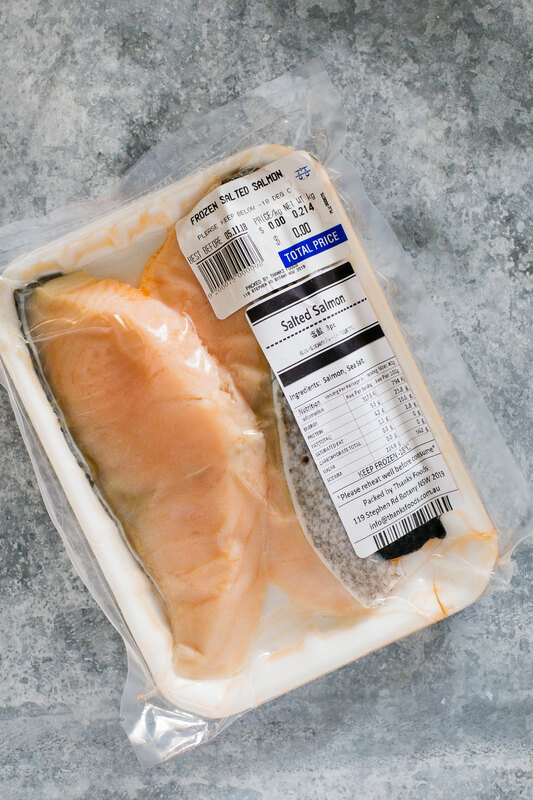 For this post I bought already made and packed salted salmon but salted salmon is easy to make too but it has to be cured over night so if you are going to make Salmon soboro from real scratch, it needs to be prepared a night before. 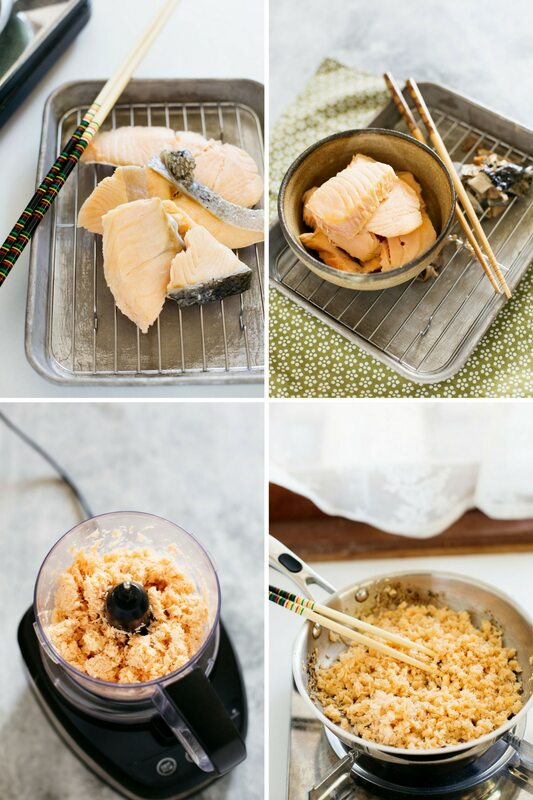 If you can get already salted salmon, making Salmon Soboro is very simple, quick, and easy. Salted salmon can either be boiled for a few minutes or grilled. I prefer boiled because it takes away some saltines and then seasoning it with sake and mirin gives the salmon a mild sweeter flavour. Once the salted salmon is cooked, carefully remove the skin and the brown part of the salmon slices and any bones. 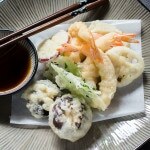 If you can not use chopsticks to do the job, you can use a knife and fork. 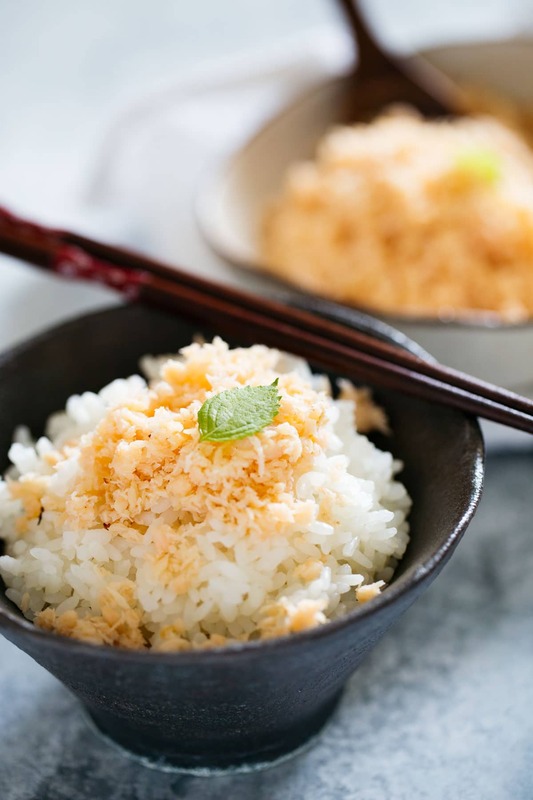 Then normally Japanese people just keep using chopsticks to flake them but I used a food processor to make fine flakes. 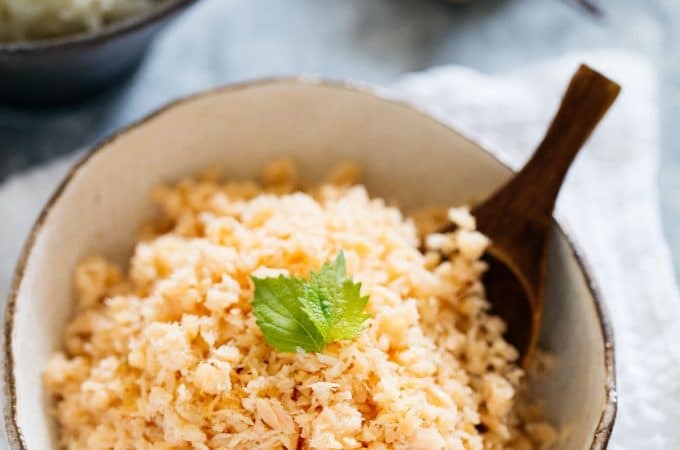 Salmon Soboro is a simple and great companion to plain steamed rice. 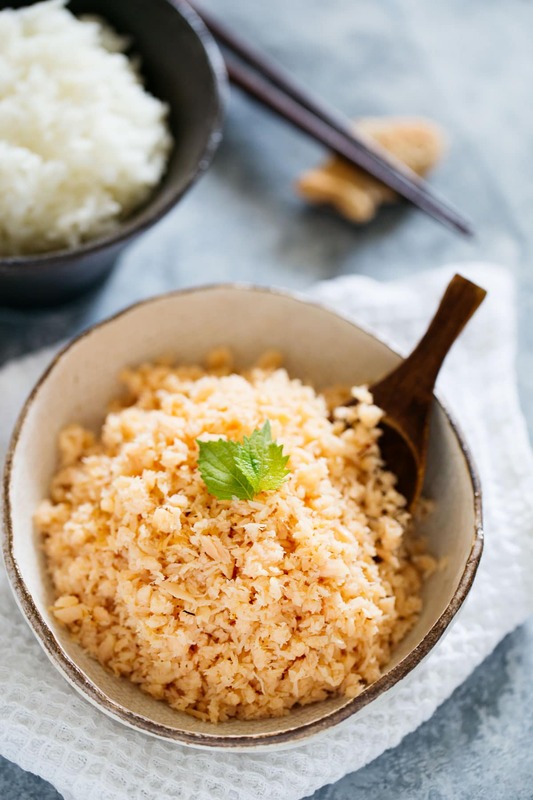 It is often used just sprinkled over plain rice or used as Onigiri rice ball filling often and that’s the reason why Salmon Soboro is Japanese people’s favourite pre-cooked regular fridge stocked food. It will last for a week in the fridge and a month in the freezer. It does certainly look deliciously pink on a bed of plain white rice in the home made Japanese pottery I made. If you liked my recipe for Salmon Soboro, please rate it and leave a comment below. Also, don’t forget to follow me on Youtube, Pinterest, Facebook , Twitter and Instagram to keep up to date with all the latest happenings on Chopstick Chronicles. Don’t forget to use the hashtag #ChopstickChronicles so I can see your wonderful creations! Boil enough water to cook salmon in a pot over high heat. Add the salmon slices and cook for a few minutes. 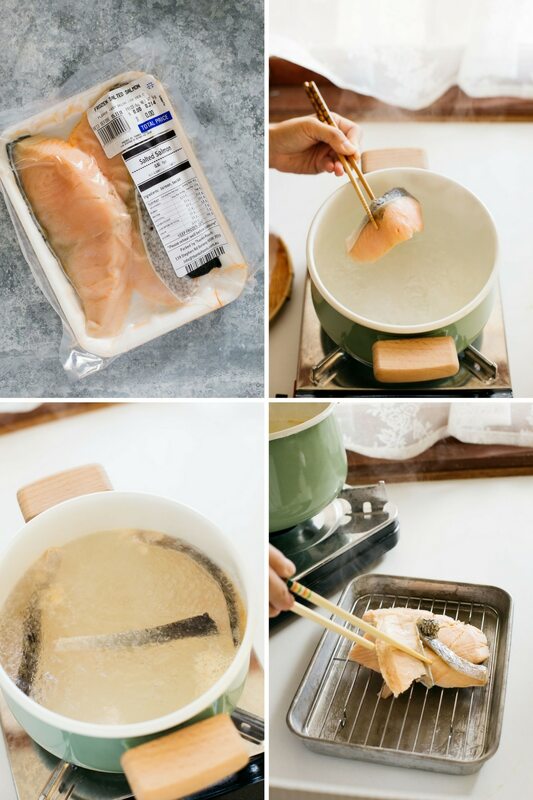 Remove the cooked salmon slices from the pot and place on a meshed tray. When the salmon slices have cooled down, carefully remove the skin, brown parts, and bones if there are any. Place the prepared salmon into a small food processor and pulse a few times until the salmon becomes fine flakes. Place a small frying pan over medium heat and add sake and mirin. Add the food processed salmon into the frying pan and continuously stir until all the sake and mirin has absorbed and evaporated. 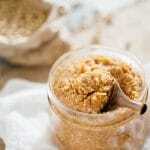 Cool down and then keep it in an air tight container and refrigerate. If you are unable to find salted salmon "shiojyake", you can make it from scratch. 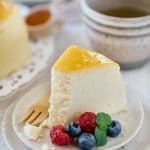 the food on this blog is delicious and also the pictures are really beautiful and creative! is there any special way to make Salted Salmon ?